Bespoke Dynamic Edition Velar raises the bar for mid-size SUV luxury, style and performance benchmarks. Unfortunately, it’s available for just one year. 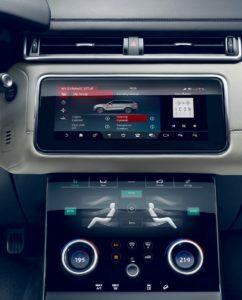 Designed and developed by Land Rover Special Vehicle Operations (SVO), the new Velar SVAutobiography Dynamic Edition extends the model’s reputation for performance and segment-leading luxury with the addition of a much more powerful drivetrain and enhanced interior/exterior design detailing. 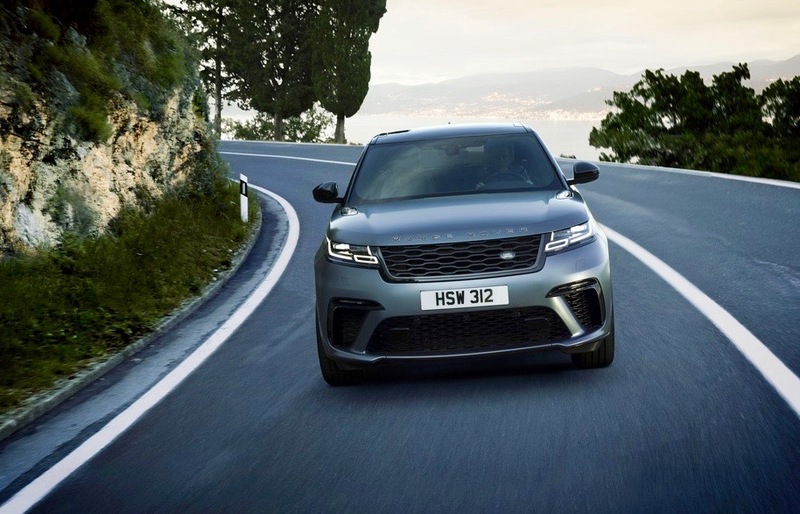 The Range Rover Velar was named World Car Design of the Year at the 2018 World Car Awards and is the second model in the Range Rover family to wear the coveted SVAutobiography nameplate. The first was the Range Rover SVAutobiography Dynamic in 2017. 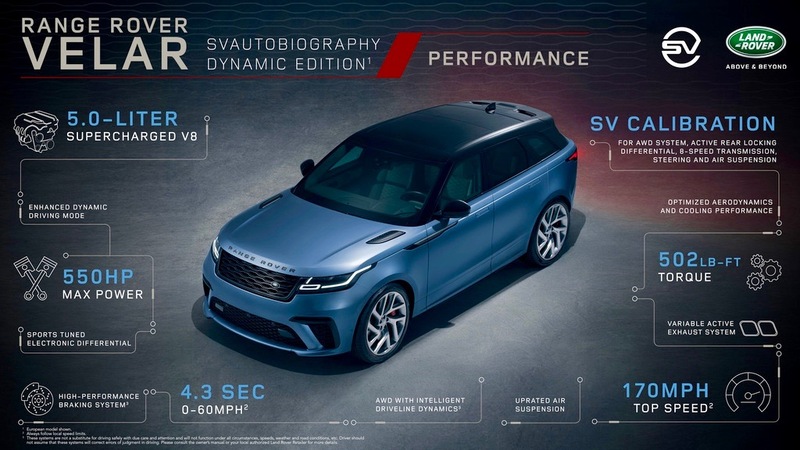 The new Velar SVAutobiography Dynamic Edition is the fastest and quickest Velar ever; its supercharged 5.0-liter gas V8 engine generates 550 horsepower and 502 pound-feet of torque. It can accelerating from 0-60 mph in as little as 4.3 seconds on its way to an electronically limited top speed of 170 mph (270 km/h). And, cosset driver and passengers with the same refinement and comfort Range Rover owners know and love. 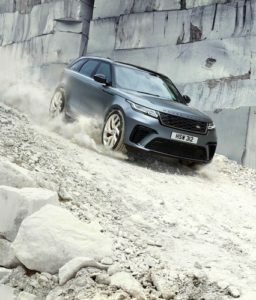 Uprated brakes and suspension components, plus bespoke settings for everything from the powertrain to the driver assistance systems, ensure the Dynamic Edition Velar mixes the personality of a performance car with the go-anywhere capability of all Land Rover models. On the outside, designers and engineers developed a new front bumper with larger air intakes to feed the supercharged V8 engine while simultaneously helping to cool the uprated braking system. A new grille and lower side moldings combine with a revised rear bumper featuring integrated quad exhaust outlets. 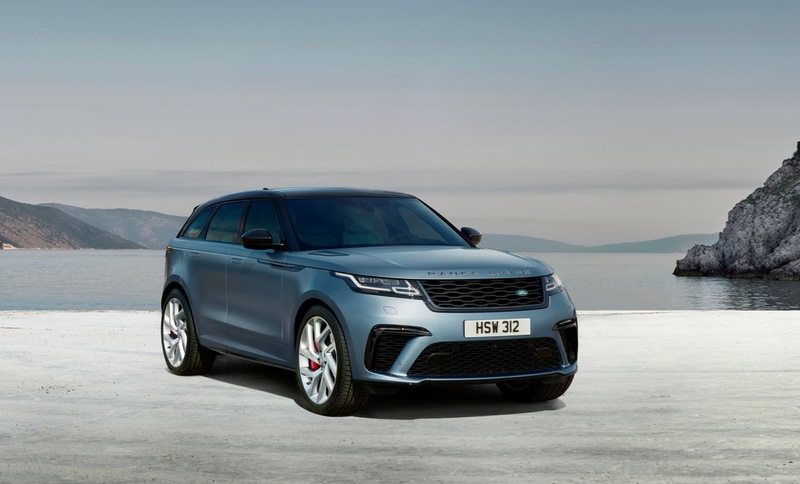 The exterior changes also include a transmission tunnel under tray designed to smooth airflow under the vehicle, assisting the fastest Velar in the range in cutting through the air more efficiently. Even the Range Rover lettering on the hood and tailgate have been enhanced with a knurled finish on the metal element of the two-piece letters, adding a fresh degree of sophistication to the exterior. 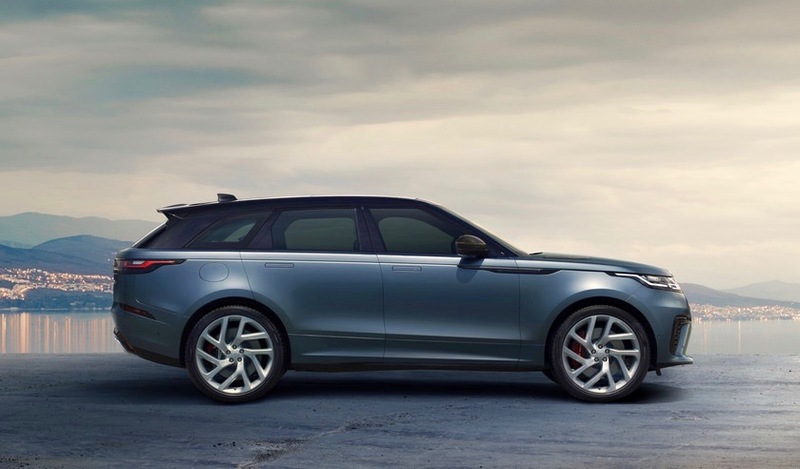 The SVAutobiography Dynamic is also the only Velar available in Satin Byron Blue – a metallic paint finish from SVO’s Premium Palette range – and all models feature a contrast Narvik Black roof as standard. Distinctive forged aluminum wheels provide another clue to the enhanced performance. The standard fit lightweight 21-inch design weighs the same as the 20-inch wheels on the core model and customers can also specify optional 22-inch rims with a unique Silver Sparkle finish and diamond-turned edging, providing a further degree of personalization. The larger 21-inch wheels support the performance focus of the Velar Dynamic Edition, helping to generate more grip and accommodating larger brakes. Its 15.5 in. (395mm) front and 15.6 in. (396mm) diameter rear brake discs feature a two-piece construction to optimize weight. The innovative designs also dissipate heat more effectively to cope with the higher braking forces generated during high performance driving. Red brake calipers that feature Land Rover lettering showcase the extra stopping power. Gloss Black calipers are also available for a more discreet appearance. The purposeful exterior is matched by a heightened sense of luxury inside with a carefully curated combination of trim finishes and upholstery. Double-stitched, perforated and quilted Windsor leather is unique to the SVAutobiography Dynamic Edition and adds to the sense of luxury inside. Customers can choose from four color combinations – Ebony, Cirrus, Vintage Tan and Pimento. Standard are 20-way adjustable heated and cooled performance front seats with memory and massage functions. Special touches inside extend to the unique sports steering wheel, which features a specially contoured rim and tactile aluminum gear shift paddles. Within the center console, the rotary gear selector and circular control dials for the InControl Touch Pro™ Duo infotainment system all feature a sophisticated knurled finish. An optional carbon fiber pack for the interior adds a more contemporary feel to the cabin, with a distinctive steel weave, while sports pedals and illuminated metal treadplates with ‘Range Rover’ script finish the look. Calibrations for the AWD system, Active Rear Locking Differential, eight-speed Quickshift transmission, steering and air suspension have all been honed and are unique to the SVAutobiography Dynamic Edition for a more focused driving experience. 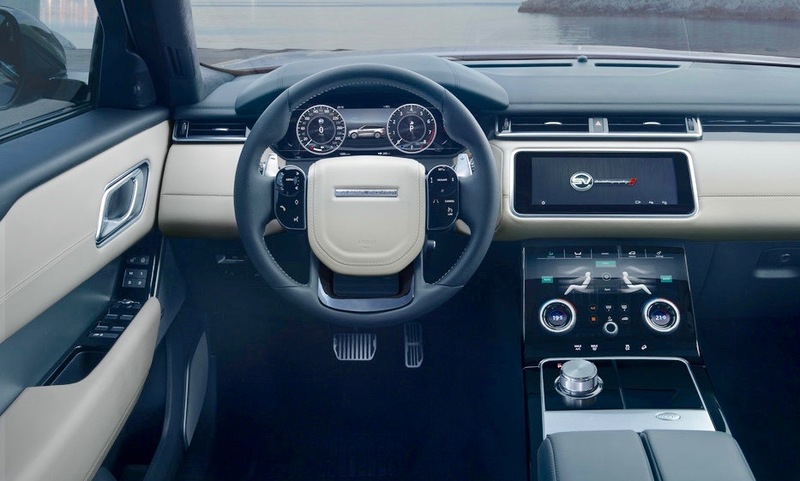 Engineers at Land Rover SVO spent more than 63,000 hours fine-tuning the bespoke calibration to optimize the ride, handling and responsiveness. The work of SVO focused on delivering increased breadth of capability; maintaining the all-terrain expertise Land Rover is best known for, while providing new levels of dynamic control and performance. Aside from far-reaching electronic tuning, an upgraded rollover protection system helps reduce body roll during hard cornering. The revised setup for the Constantly Variable Dampers work in combination with firmer air springs for the air suspension to deliver the ultimate balance of composure and comfort. The AWD system has been uprated too with a transfer box capable of withstanding the higher loads generated by the 5.0-liter supercharged V8. The advanced Intelligent Driveline Dynamics system is designed to precisely and imperceptibly distributes engine torque to suit the conditions. The intelligent setup is designed to direct as much as 100 percent to the front or rear depending on the conditions, to help improve traction. Speed sensitive Electric Power Assisted Steering is fitted as standard, reducing effort at parking speeds and improved control at higher speeds. The vehicle’s Dynamic mode has also been further enhanced; optimizing the steering, suspension and transmission settings to suit more enthusiastic on-road driving. 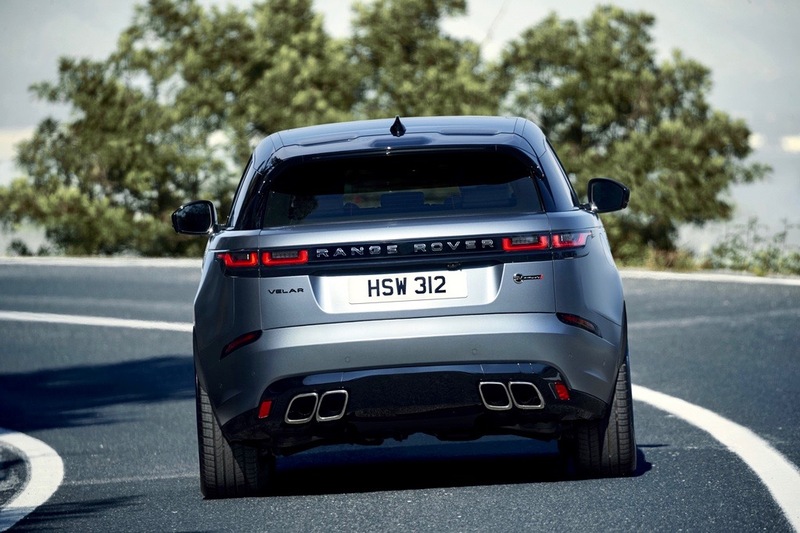 The unique character of the SVO Velar Dynamic Edition is also reflected by its bespoke exhaust setup, which provides a soundtrack to match its performance. The SV Variable Active Exhaust System features valve technology to optimize the exhaust note, depending upon the driving conditions, and provides the Velar with an unmistakable V8 rumble. The active setup is 15.6 lbs. (7.1 kg) lighter than the standard design and its increased gas flow helps to unlock some of the flagship model’s increased performance. It sounds like no other SUV, but the most driver-focused model in the range is also as practical as ever. The exceptionally large 15.7 cubic-foot luggage compartment is unaffected, while the flexible 40:20:40-split rear seats allow customers to vary the load-space depending on their requirements. A larger 21-gallon fuel tank (up from 16.5-gallon) also promises a longer range with fewer stops to the gas station.